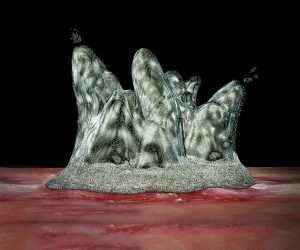 Biofilm infections are extremely difficult to treat because they impede the body’s immune defenses and render bacteria highly resistant to antibiotics. 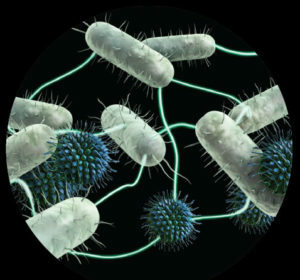 Drug development cannot outpace the increase in antibiotic resistance. 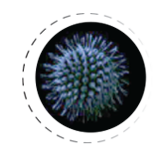 The WHO has called for new solutions to this global health threat. 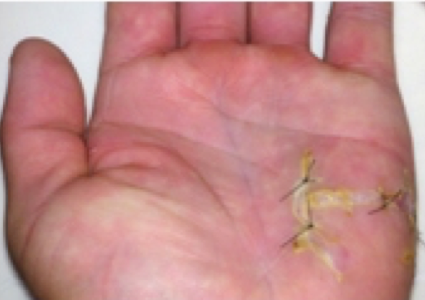 READ: About our pre-clinical evidence. 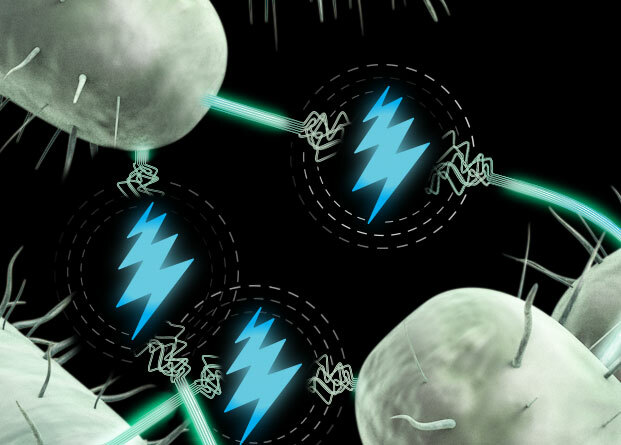 WATCH: How our Bioelectric Technology uses electric fields to combat biofilm. 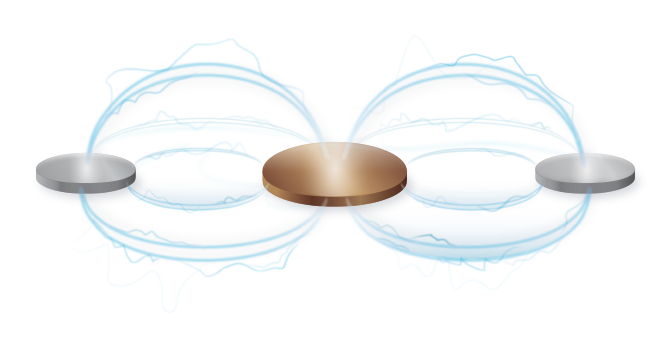 For further information about Vomaris's Bioelectric Technology, please contact us. 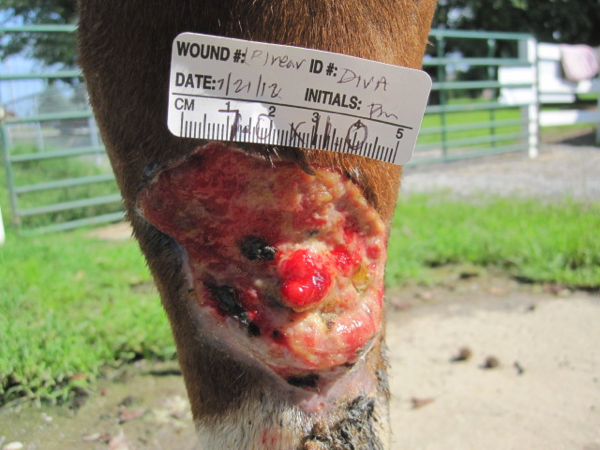 Electrical Stimulation Therapy and Wound Healing: Where Are We Now? 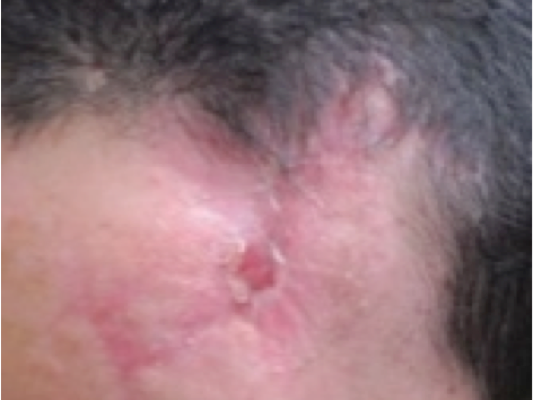 Injuries sustained due to dog attack. 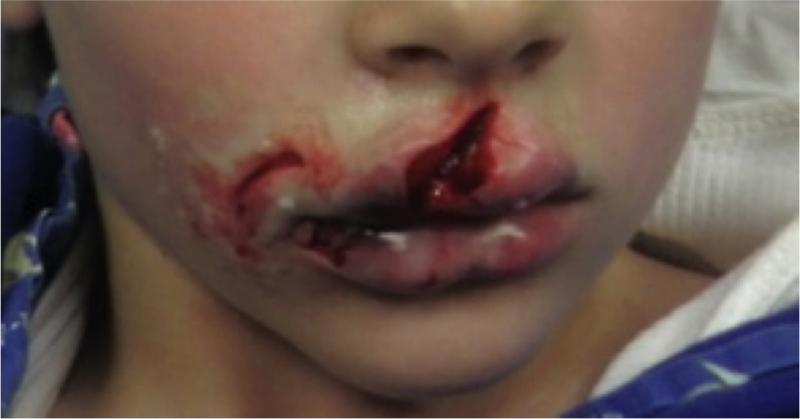 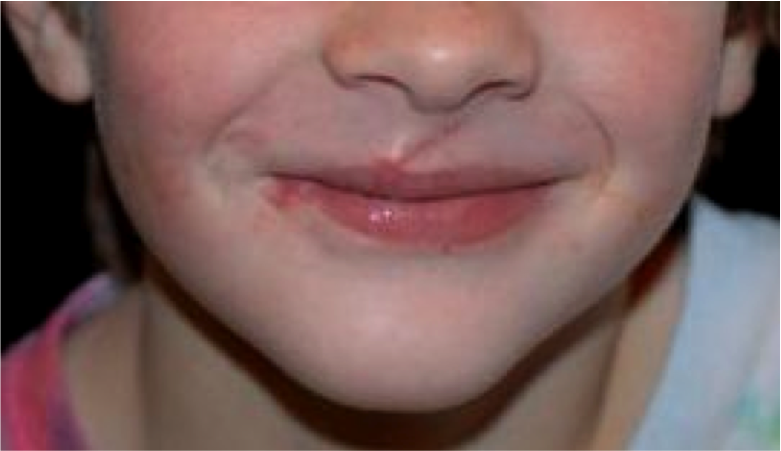 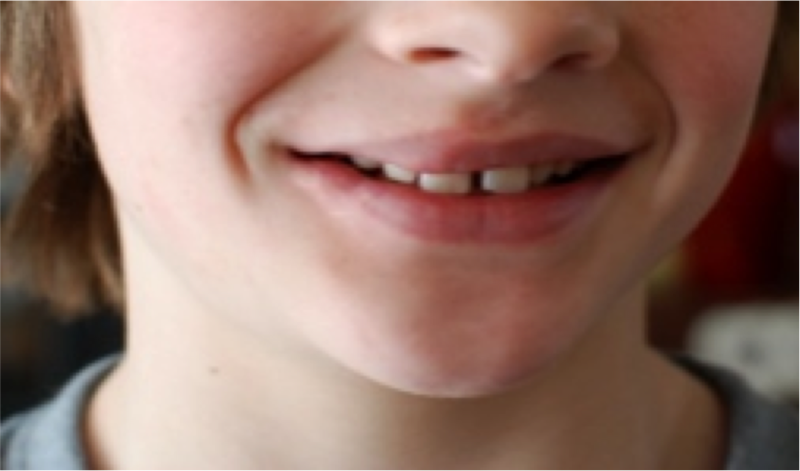 Upper lip completely severed and lateral commissure partially avulsed. 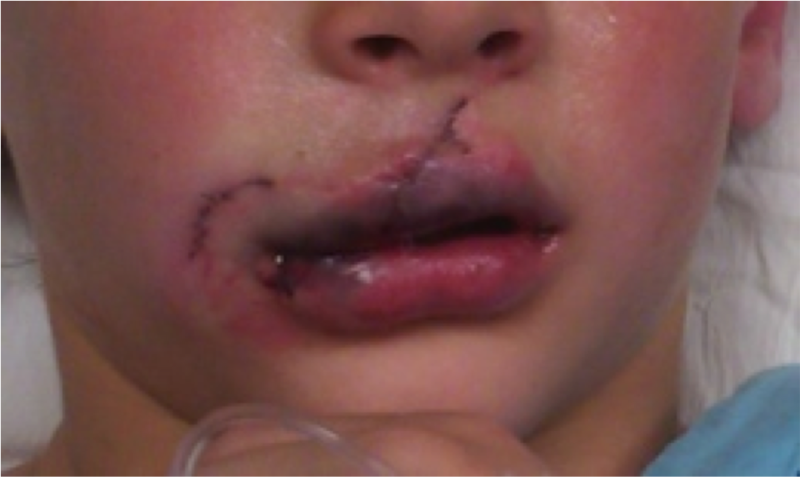 Wounds repaired with two-layers of absorbable sutures. 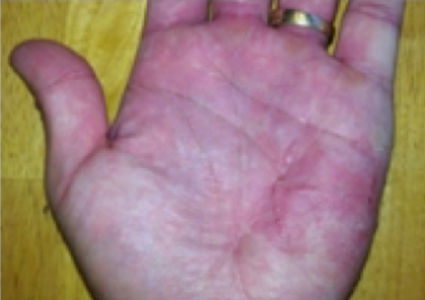 Procellera® use started at day 4 post-repair and continued for several weeks beyond wound healing. 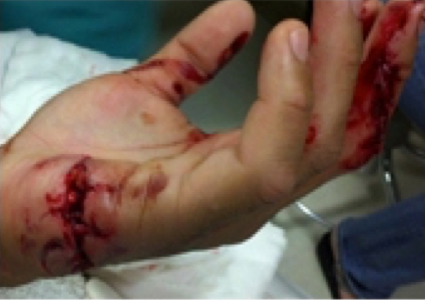 Full thickness bite injury to left hand and fingers by an attack dog during training exercises. 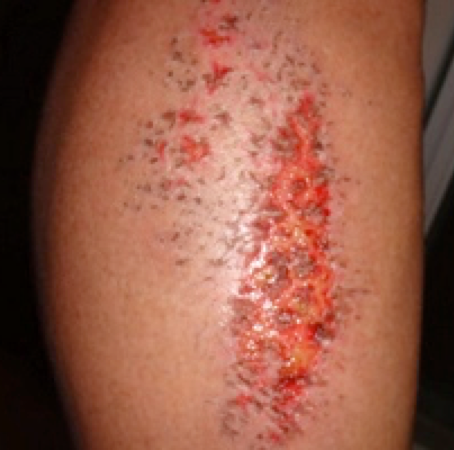 Procellera® Antimicrobial Wound Dressing was applied post-operatively. 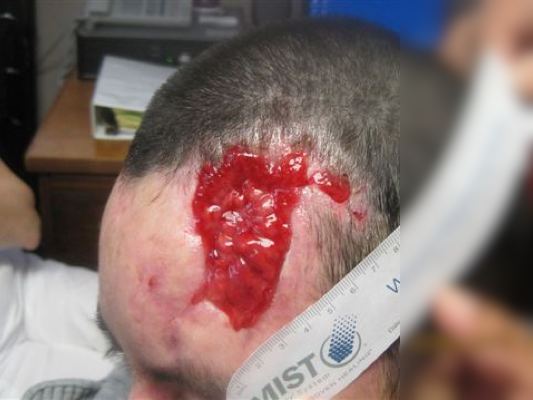 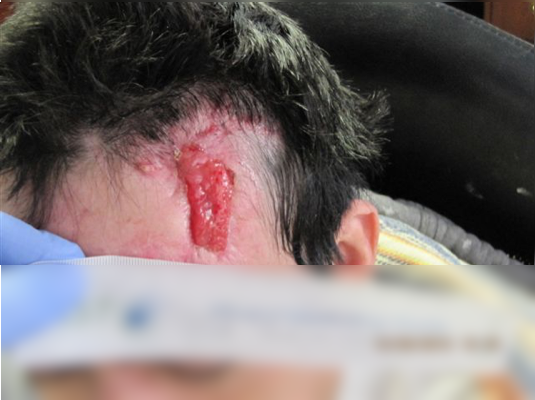 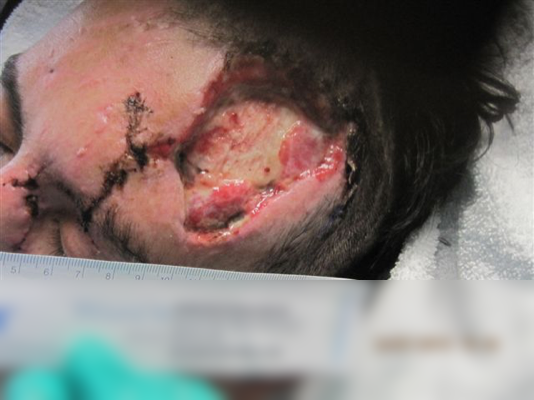 Multi-trauma from motor cycle accident with full thickness scalp avulsion wound and exposed frontal bone involving a portion of hair-bearing scalp. 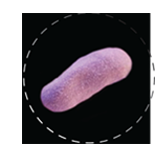 Procellera® Antimicrobial Wound Dressing was used when attempts to place NPWT were unsuccessful due to wound location and inability to maintain an airtight seal. 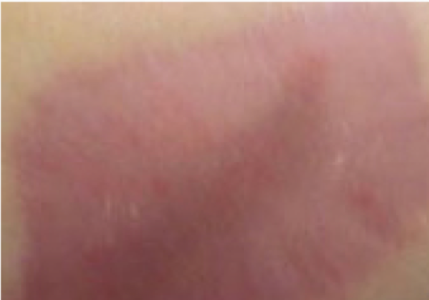 Left forearm burn was treated by excision; became infected with Staphylococcus aureus. 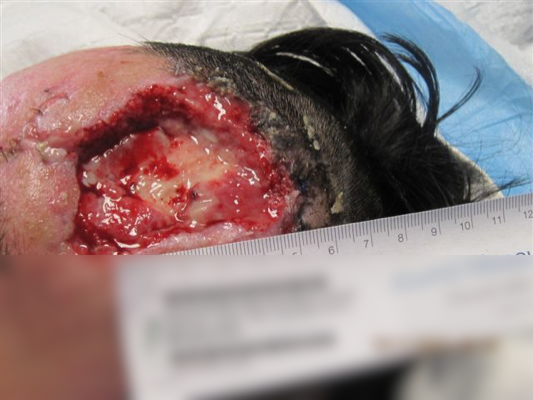 The wound was opened on Week 3 post-operatively and left open to heal and Procellera® Antimicrobial Wound Dressing was applied. 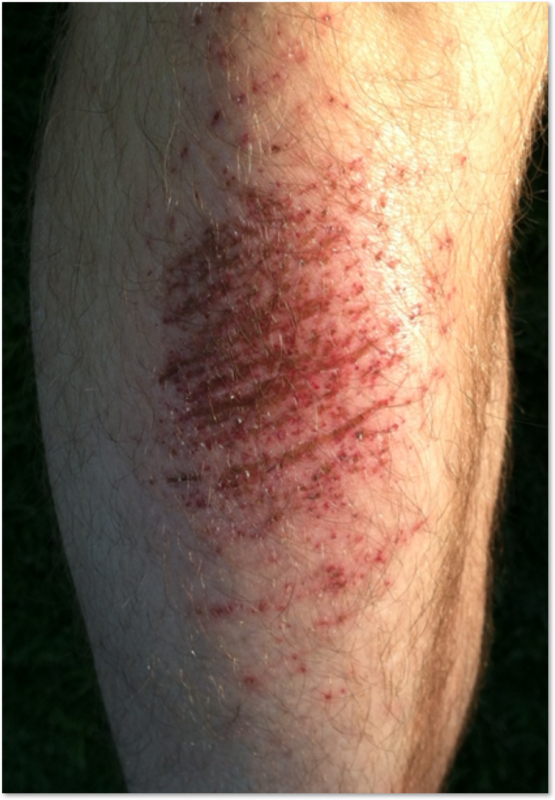 Road rash injury sustained during cycling accident. 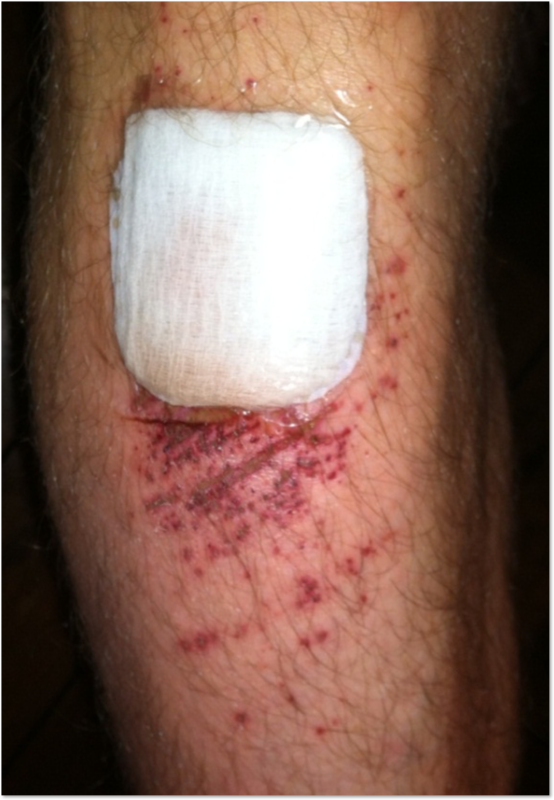 Cyclist applied Procellera® Antimicrobial Wound Dressing to top half of wound only and covered with moist gauze pad. 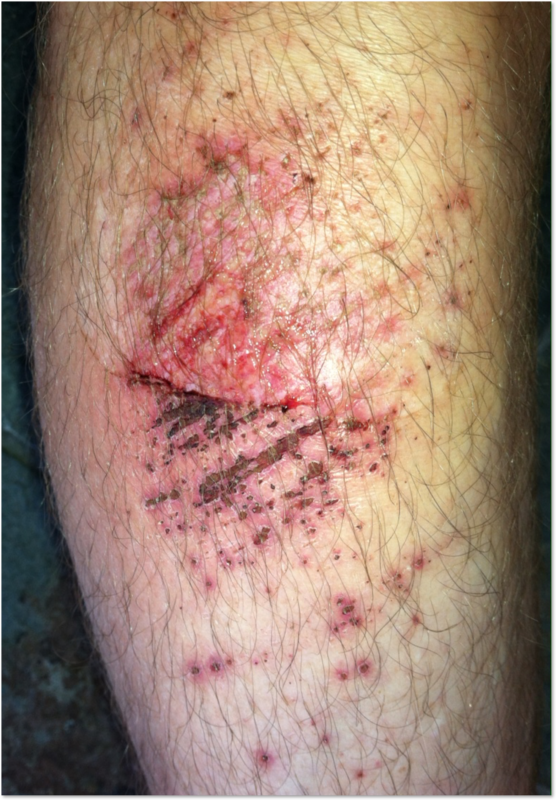 Bottom half of wound remained uncovered, as athlete wanted to "test" if there was any difference in healing between Procellera dressing and no dressing. 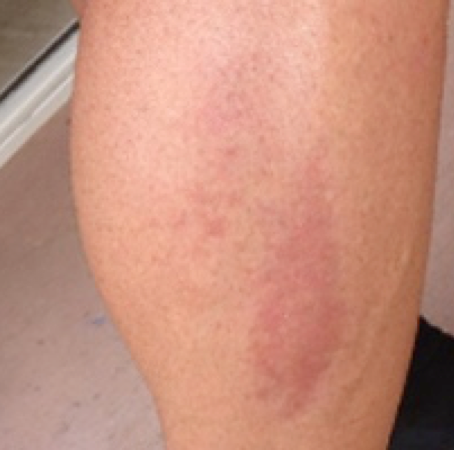 Professional triathlete sustained road rash abrasion on left leg during cycling accident. 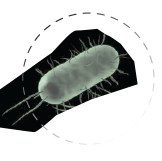 Used Procellera® Antimicrobial Wound Dressing post-treatment. 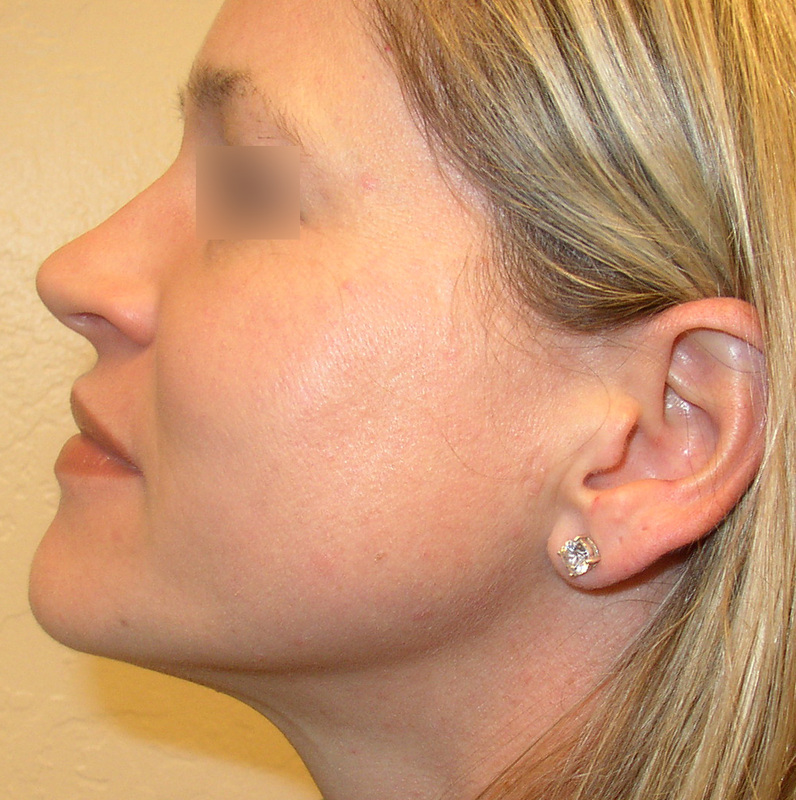 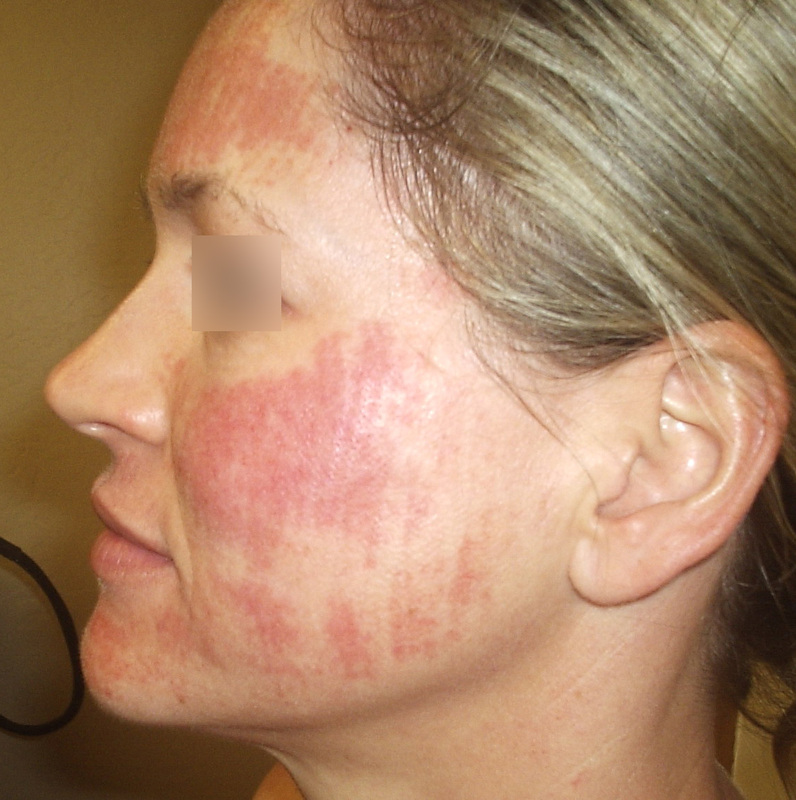 Patient underwent laser facial resurfacing procedure. 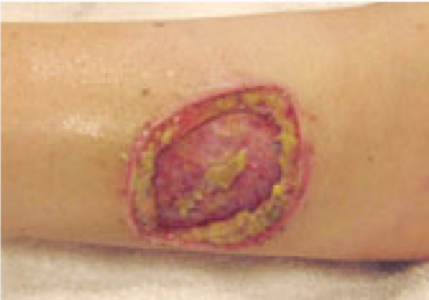 Treated post-procedure with Procellera® Antimicrobial Wound Dressing. 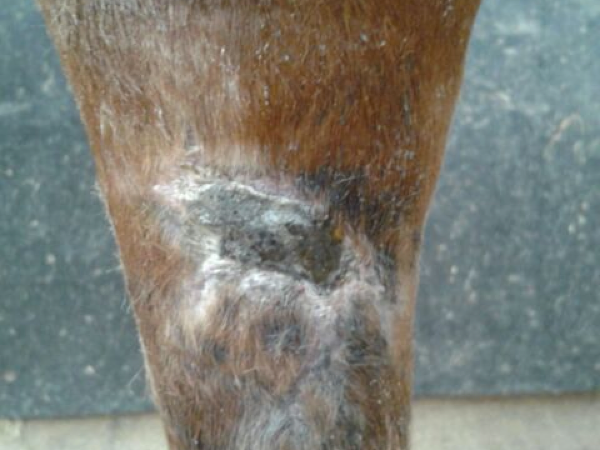 Dressage and show horse presented with a large fence injury. 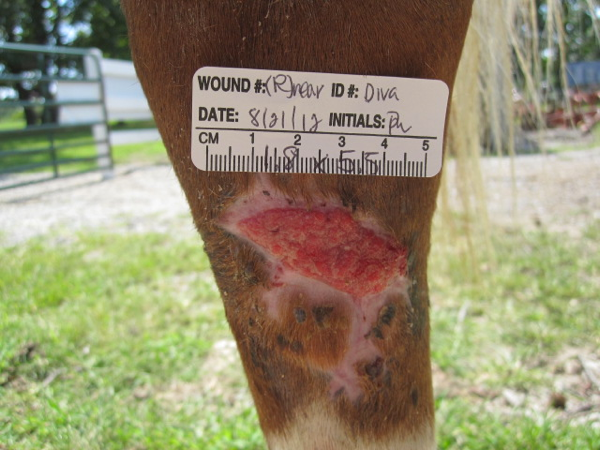 Multiple different treatments were employed to treat the wound without success. 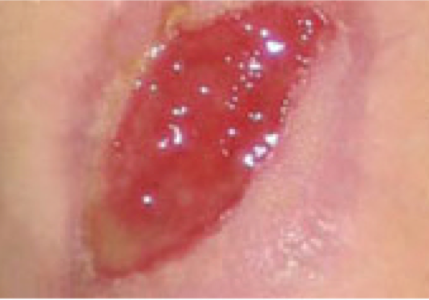 Procellera® Antimicrobial Wound Dressing was initiated Day 28 post presentation.